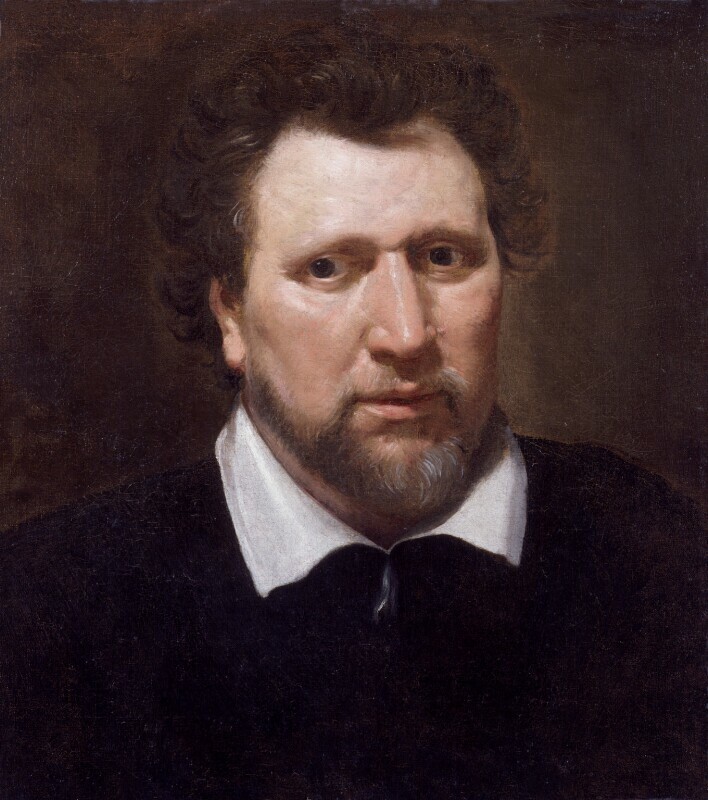 Benjamin Jonson (1573?-1637), Poet and dramatist. Sitter associated with 19 portraits. Abraham van Blyenberch (1575 or 1576-1624). Artist associated with 15 portraits. Jonson was one of a small group of courtiers painted by the Flemish artist van Blyenberch, during his visit to England between 1617 and 1621. All other surviving portraits of Jonson derive from this one. Robert Carey, Earl of Monmouth is made Chamberlain to Prince Charles. Petitions from Catholics persuade James I to permit certain types of recreation on Sundays. However, the king's subsequent declaration of sports angers Puritans who advocated for appropriate and strict observance of the sabbath. Physician and Rosicrucian, Robert Fludd, begins to publish his philosophical work, Utriusque cosmi. Extensively illustrated with mystic emblems, Fludd's neoplatonist metaphysics suggested a complex relationship between the spiritual and physical world, prompting attacks from leading scholars. Incited by Charles d'Albert, Duke of Luynes, Constable of France, the seventeen-year-old French king, Louis XIII, forces his mother Marie de Medici who has held de facto power, into retirement and has her favourite, Concino Concini, assassinated.